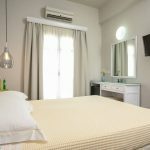 Grotta Hotel is a family run establishment, catering to the discerning traveller who wants comfort and personal attention but reasonable rates. The Venetian Castle, Archaeological Museum, and Old Market located in the unique labyrinth are within a short walking distance of the Hotel Grotta. Also, just a few minutes away by foot is Apollo's temple and the pebbly beach of Grotta. In Naxos Island Greece, on a beautiful hillside, overlooking the seaside town of Naxos (Chora), Grotta Hotel offers an unparalleled view of the sea and the city. It's ideal for those who crave the peace and quiet of the blue Aegean - yet desire the proximity of restaurants and night life. The Lianos family stands ready to serve you, offering their traditional Naxian hospitality. All the rooms are tastefully decorated and are kept spotlessly clean. 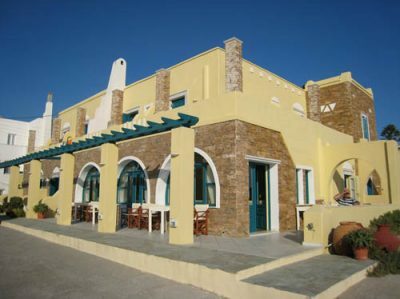 Hotel facilities include information desk, assisting our guests with telefax, laundry, safe deposit boxes, money exchange, transfer service, excursions to all parts of the island, excursions to neighbouring islands, sailing trips, hiking tours and car / bike / bicycle rentals, jacuzzi. 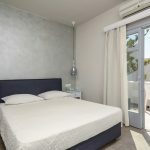 Each room has a balcony or terrace, most of which with a spectacular sea view and is equipped with private bathroom, air-condition, direct dial-phone, satellite TV, music channels, refrigerator and safe box. Room service is also provided.